HAVE YOU EVER WANTED TO CREATE A PLACE WHERE YOU COULD MAKE YOUR OWN RULES? Evie and Rick Lane are determined to transform the Great Pacific Garbage Patch--a real life pile of floating garbage--into an eighth continent, using a special formula developed by their father. This new continent will be a place where their family can make their own rules and live free from the intervention of Winterpole, a global governing agency run by bumbling bureaucrats. 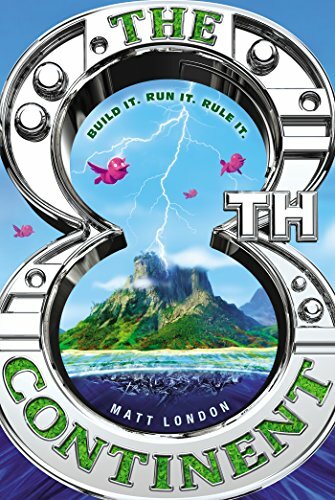 But eleven-year-old pink-and-plastic-obsessed Vesuvia Piffle, the secret mastermind behind the villainous Condo Corp, also has her sights set on this new land, and she wants to use it to build a kind of Miami-on-steroids. Now, it's a race against time and across the world as the kids gather the items they need to create their continent. Because whoever controls the eighth continent controls our future. And the future can't be both "green" and pink.